This November, Valiant proudly presents “ENTER: ARMORINES” – a new three-part story arc beginning in X-O MANOWAR #30 by New York Times best-selling writer Robert Venditti (ARMOR HUNTERS,The Flash) and red-hot rising star Diego Bernard (Red Lanterns)! 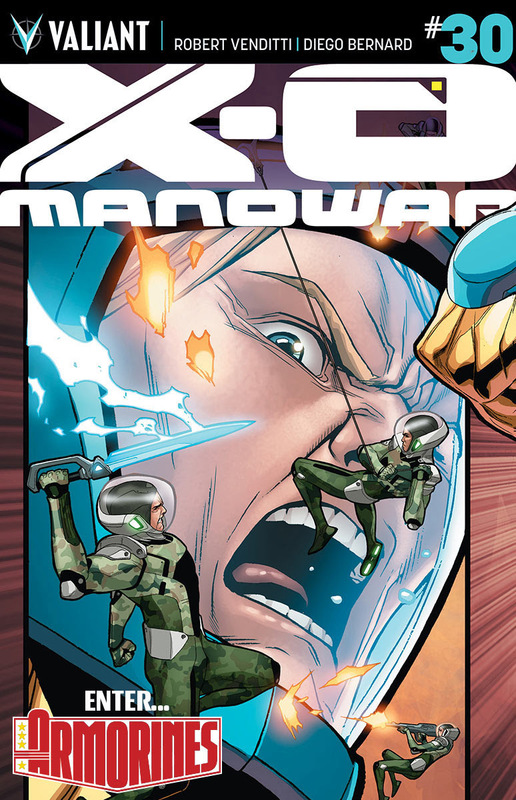 After reliving the pulse-pounding origin of the man behind the armor in October’s X-O MANOWAR #0, return to the modern day and launch into X-O Manowar’s first high-octane showdown with the all-new, all-deadly ARMORINES! 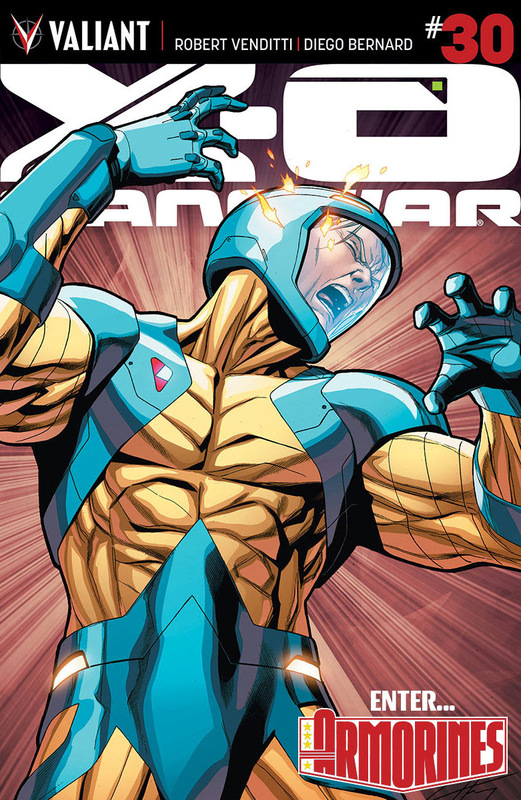 Featuring interlocking A and B standard covers by Valiant superstar Clayton Henry (HARBINGER WARS), the next epic evolution of Robert Venditti and Diego Bernard‘s acclaimed sci-fi superhero saga starts right here this November in X-O MANOWAR #30!